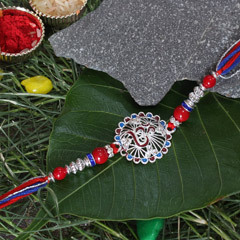 Any brother will instantly fall in love with such a beautifully crafted Silver Stone Studded Ganesha Om Bracelet Rakhi. 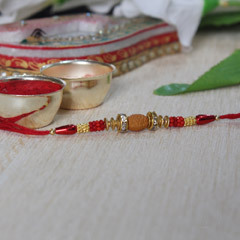 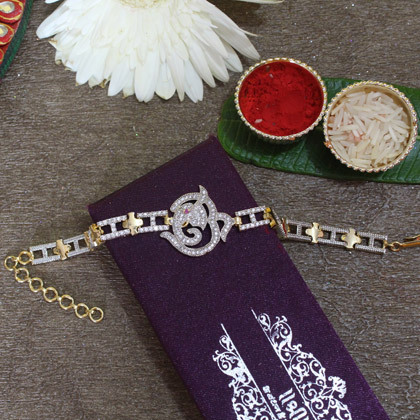 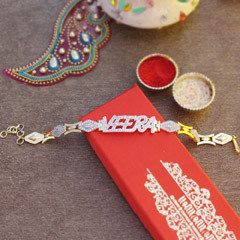 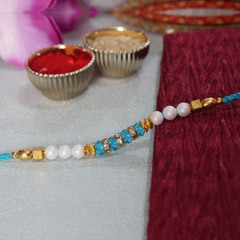 This Rakhi is a perfect example of supreme intricacy. 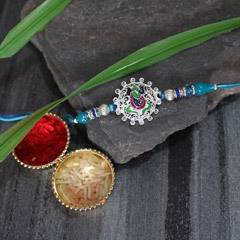 Being a stone studded bracelet Rakhi, your brother will love to flaunt it on his wrist after Raksha Bandhan. 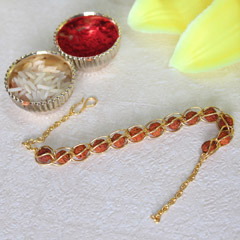 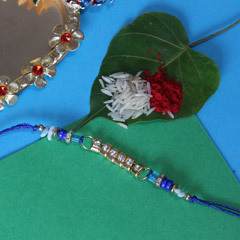 Also, it’s an auspicious Rakhi that will let brother seek lord Ganesha’s blessings for a prosperous life.